Today I took food to a friend of mine who just had a new baby. 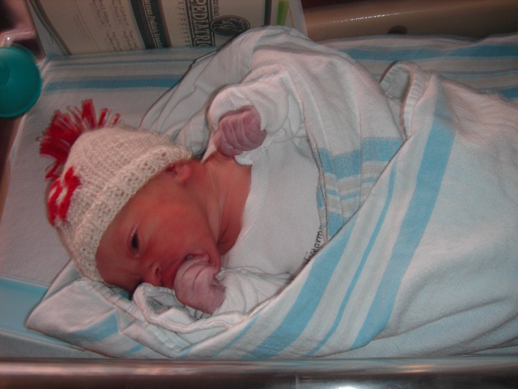 Seeing the newborn made me remember when mine were that little. Today's picture is of Zoe on her first day. Under it is the link to the set of pics through her first year. It is a guest pass for that set of Flickr. I am not sure how long I'll keep it active.